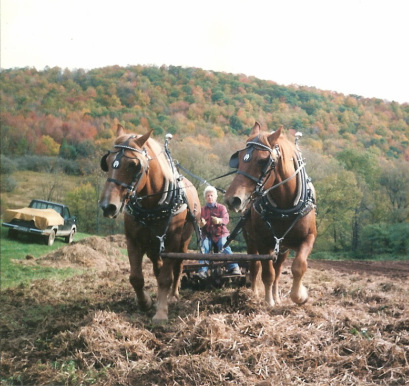 We are a rare breeds farm nestled in the outskirts of the Catskill Mountains in Delhi, New York, devoted to the conservation of endangered and heritage breeds, focusing on Suffolk Punch Draft Horses, Gloucestershire Old Spot Swine and Tamworth Swine. We also farm a large organic garden and sell the produce at local health food stores and farmers markets. We are proud to be the first farm in New York to join the Animal Welfare Approved program.